The book is an essential course in defence of family and nation, and the preservation of freedom. Marxism, in spite of its history and practice, still seems to have an “idealistic” appeal to many “intellectuals” who, having rejected God still yearn for a vision and meaning to life-for a religion. 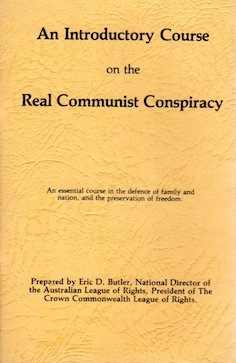 And, keeping in mind the source of finance and leadership which promoted and executed the Bolshevic Revolution, we are satisfied that the inspiration behind this phase of Communism had no remote connection with any genuine idealism, but was rather a crafty move to seize Russia at a home base and harness her resources and people in a gigantic effort to destroy Christian society and reconstruct it along quite different lines.